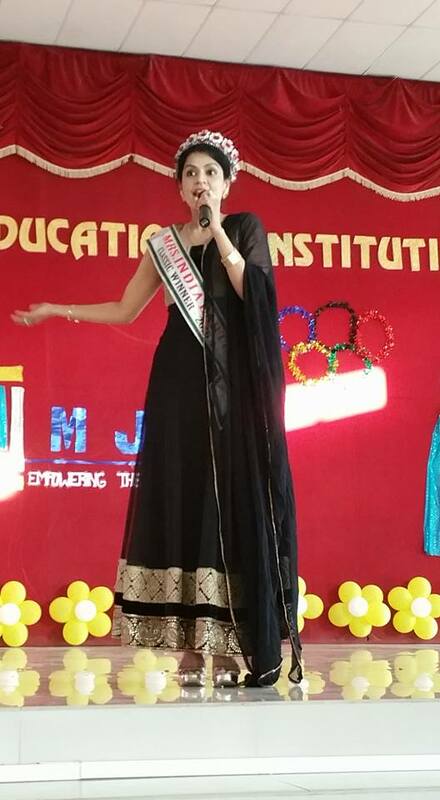 MJC had the privilege of having at our campus Ms. Rachel Fikes Ms Earth 2016 and current Executive Director of Mrs. And Ms. Earth Organisation from USA and Ms. India Earth 2016 and Jaya Mahesh who hails from Coimbatore to meet our students and spend time with them. 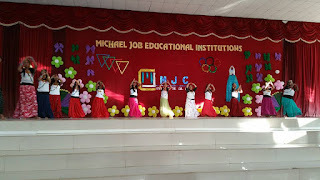 These two days were totally action packed will remain in the memory of MJC always. 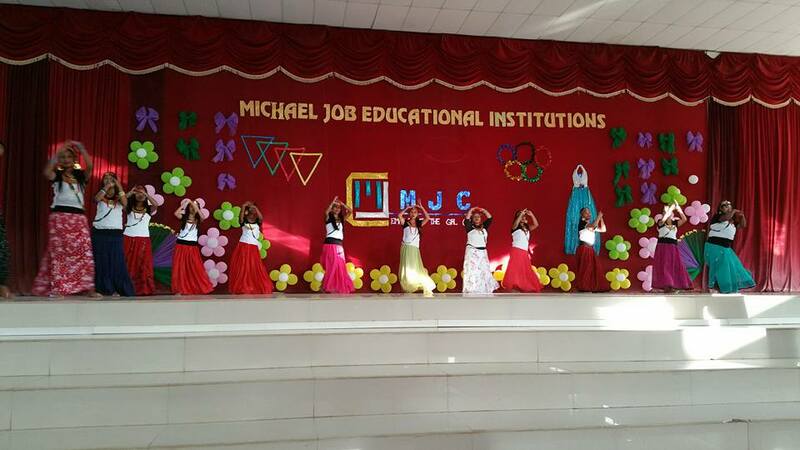 Amidst the electrifying atmosphere, MJC collectively gave them a grand welcome. 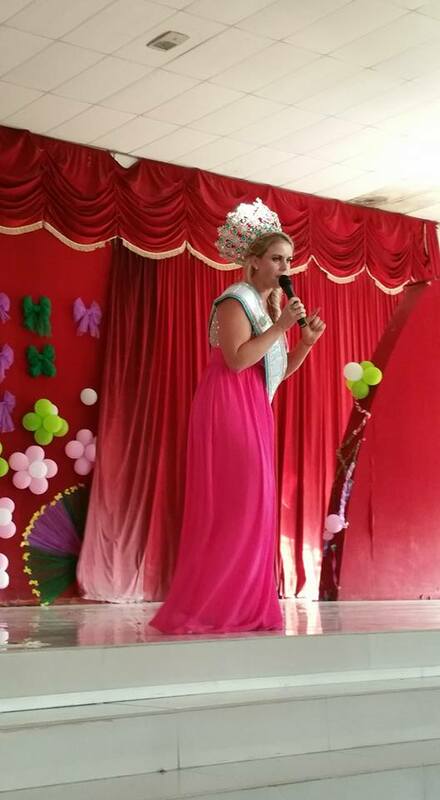 Our girls organised a grand cultural event to make their visit a memorable one! Group dances were performed by girls of all ages. With view to stimulate their creativity and to make them aware of recycling and protection of their environment a fashion show was organised. The costumes were created by the girls, using old newspapers and eco-friendly used articles like paper cups etc. A hair braiding completion was also held where all these youngsters seemed to be so equally good that the judges had a tough time selecting the winner. The children were pleasantly surprised when Ms. Jaya, who is a classical dance artist, stepped onto the stage to teach a few steps to the performers. This elated the children and they cheered away with excitement and happiness. Ms. Rachel shared with the children, her life’s journey so far and spoke about how her inner strength has enabled her in being the individual that she has evolved into. 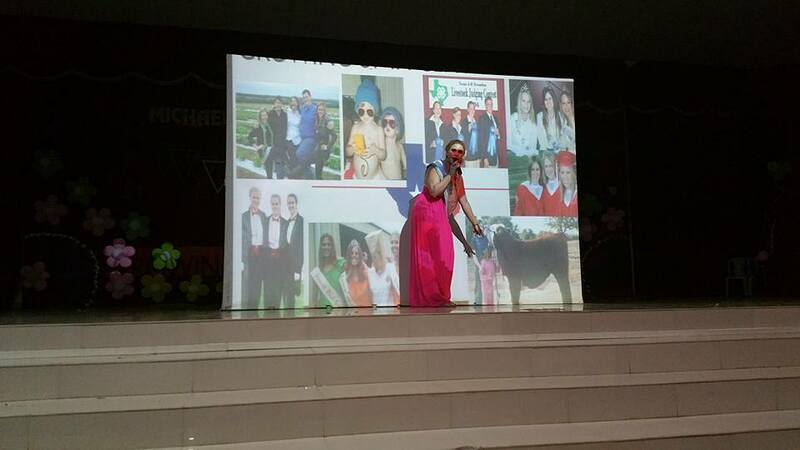 Racheal conveyed the message beautifully, by sharing her life story using her pictures as a tool. 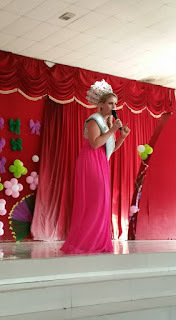 MJC witnessed that how her thoughts and story have pumped our kids with exuberance. On the next day, Ms. Rachel conducted a session with the senior girls from MJC on Creative writing. 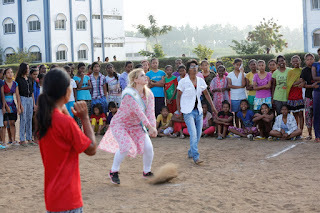 It was a very engaging activity wherein all the girls participated. The pictures speak for themselves. 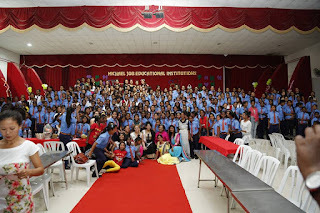 Our students enjoyed thoroughly and, it has been a memorable experience for them. We are grateful to Ms. Rachel and Ms. Jaya for having come over to our campus and spend time with us. At the end of her visit Ms Rachel acknowledged that MJC is one of the most impressive institutions among those she has visited around the world. We are all proud of this appreciation. Inspiring and heart warming ..keep it up ...focus on expansive and real life skills that are inclusive and socially more useful for the children ..with humility and a intent to serve .